There are many reasons to measure and analyze noise. It may relate to legislation or regulations that limit noise in certain environments, we could be using the noise to investigate a related issue or maybe simply improving the noise of a vehicle or other product. 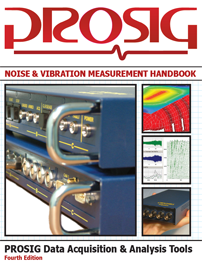 Prosig are experts in measuring and analyzing noise. Follow the links below to find out about a few of the basics of measuring noise and read about some practical, real world examples of noise analysis.